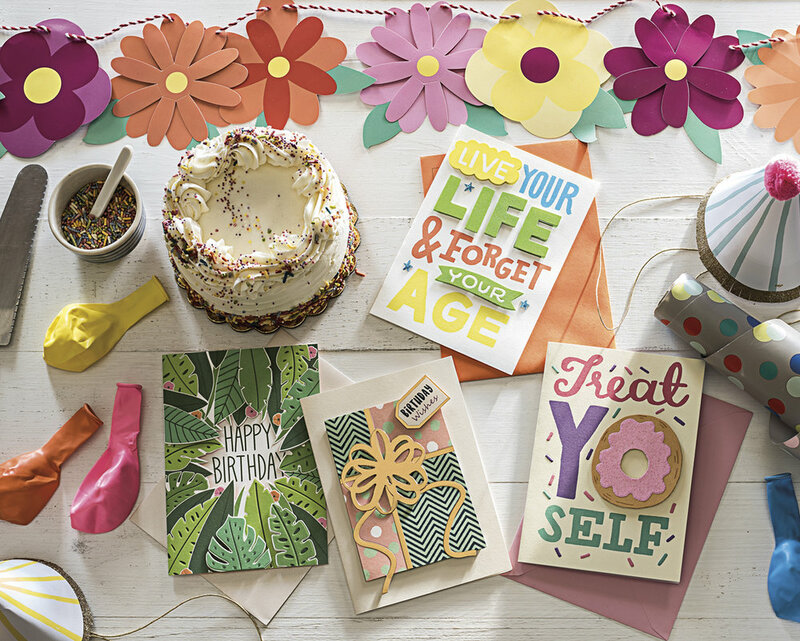 The High Note Premium Collection of greeting cards blends contemporary, sophisticated designs with unique treatments and presentation. 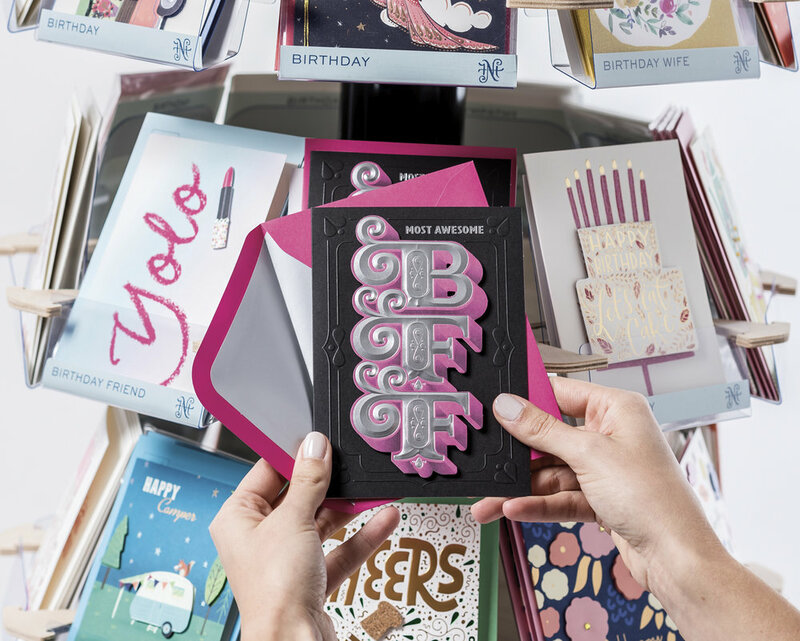 Elevated beyond traditional printed ink-on-paper, the High Note offering features hand-made elements and three-dimensional construction, creating striking visuals that will leave an impression on the recipient. It is a distinctive offering in the marketplace for people who want to express how much they value a relationship, or just send a premium card as a thoughtful gift on its own. and we offer a variety of display options to fit any sized store.